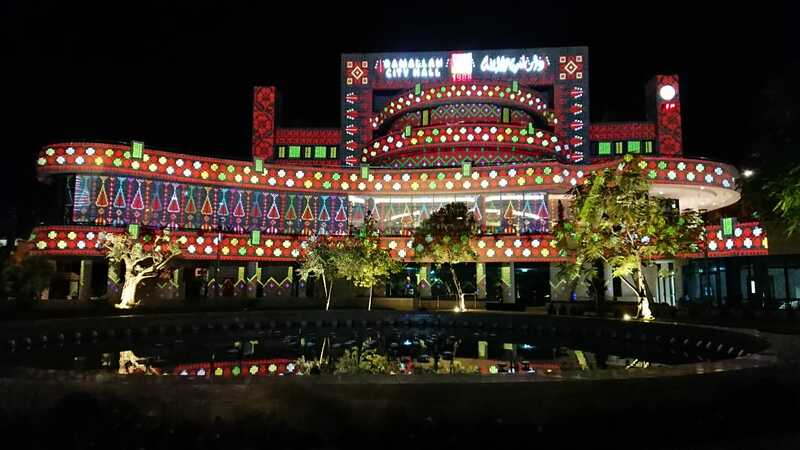 A special light show illuminated the facades of the Ramallah City Hall on 4 July 2018. 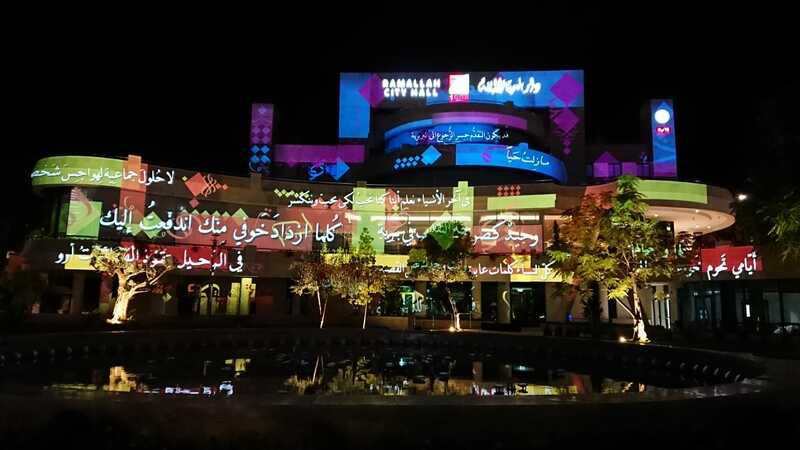 Commissioned by the City of Ramallah, the Light of Ramallah, is a video-mapping installation on the city hall that highlights the cultural identity of the city and its traditions. The installation, by OCUBO, aims to take spectators on a journey through the unique nature of Ramallah, its architecture and its arts and crafts. It also explores in a dynamic and contemporary way the work of the poet Mahmoud Darwish with calligraphy on the city’s iconic building. This light show is part of the approach adopted by the Municipality of Ramallah to emphasize openness and pluralism and support tourism in the city. “Ramallah is a city with many cultures and artistic activities and we depend on recreational tourism. One of the objectives of our membership in the LUCI network is to develop our experience and understanding of the importance of such light projects and their impact on tourism and development in other cities around the world.” says Eng. Sami Ewaida, Head of City Beautification Section at Ramallah Municipality.